Matthew Wangler, the foundation’s Executive Director, tired his hand at blacksmithing. 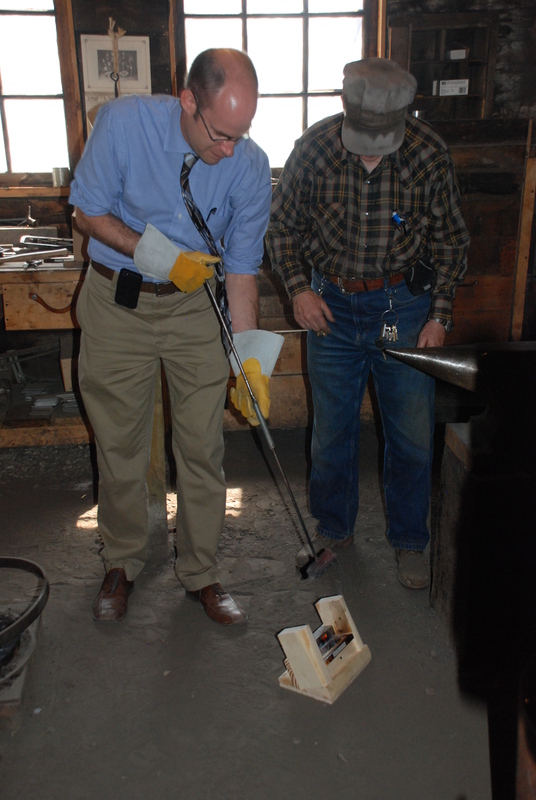 Board members and staff enjoyed the unique opportunity to watch a blacksmithing demonstration (similar to this one) and experience “branding” at the Blacksmith Shop, and view the public murals that artistically captured the city’s rich heritage. In its continuing efforts to reach out to its heritage stakeholders, the board also held an informal roundtable discussion with the talented members of Lacombe’s Heritage Steering Committee and the Lacombe and District Historical Society. The insights shared during the discussion revealed the strong commitment of this active community in meeting the many challenges and opportunities in preserving and promoting their local heritage. The board would like to thank the Lacombe and District Historical Society for the tour. Our Kudos goes to the Lacombe community for all their hard work. The board definitely felt refreshed before heading to the boardroom to adjudicate grants. 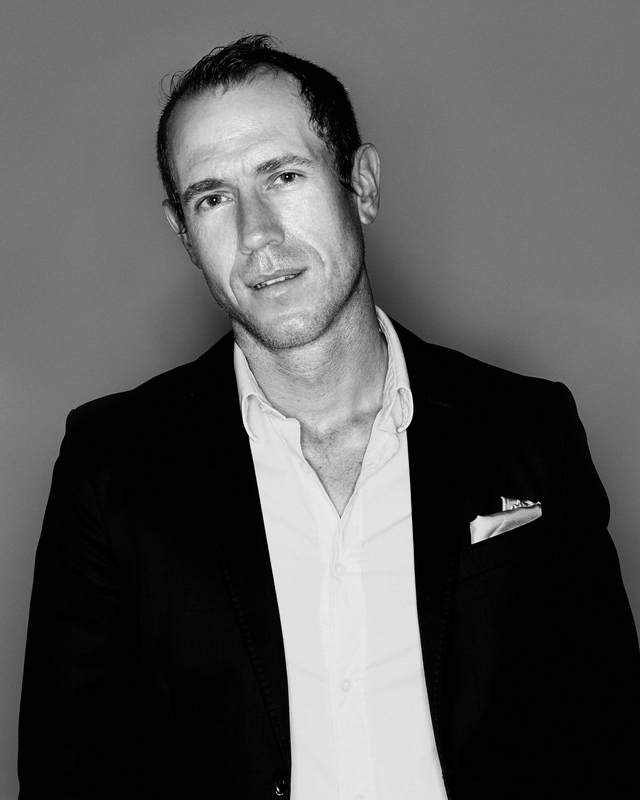 Todd Babiak is a Canadian writer and entrepreneur living in Edmonton. Todd understands the important place stories hold in our lives and the power of historic places to help us understand the stories that make up our identity as individuals and as a community. Todd is co-founder of Story Engine, and has published three bestselling novels. His first novel, Choke Hold, was a finalist for the Rogers Writers’ Trust Fiction Prize and the winner of the Henry Kreisel Award for Best First Book. His second novel, The Garneau Block, was shortlisted for the Scotiabank Giller Prize and the Alberta Book Award and itwon the City of Edmonton Book Prize. His third novel, The Book of Stanley is in development as a television series. His screenplay The Great One, co-authored with Jason Margolis, won a Praxis Screenwriting Fellowship. Todd Babiak’s fourth novel, Toby: A Man, was published by HarperCollins in January 2010. It was shortlisted for the Stephen Leacock Memorial Medal for Humour and won the Georges Bugnet Award for best work of fiction by an Alberta author. He was, for 10 years, a columnist at the Edmonton Journal. Have you registered for the 2013 municipal heritage forum yet? Space is limited. Space is limited, so please register online today. Bernard Flaman (Don Hall, 2013). Bernard Flaman will deliver a keynote address at the 2013 Municipal Heritage Forum: The ABC’s of Conservation. He is a registered architect with a great deal of experience in heritage conservation. He will talk about some of the projects he’s worked on to illustrate how the Standards and Guidelines for the Conservation of Historic Places in Canada are used to make timely and wise conservation decisions. 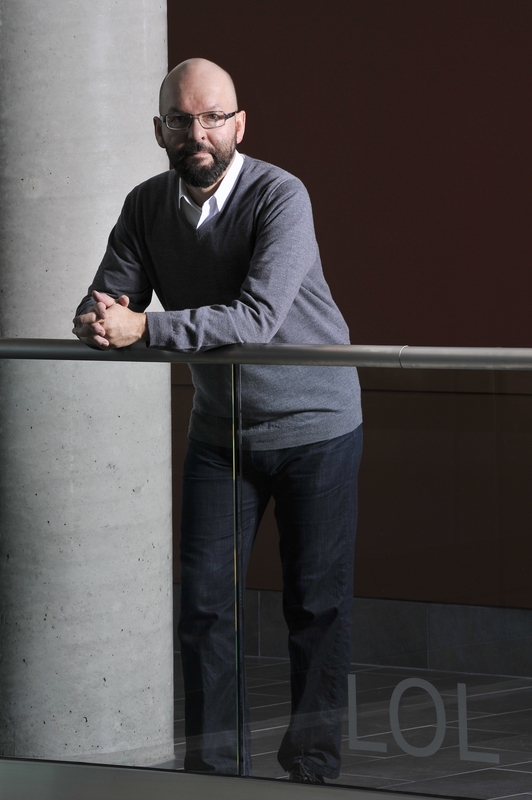 Bernard’s primary research area focuses on modernist architecture, and he has publications about the Saskatchewan Power Corporation Headquarters in Regina and the design of Canadian airports in the 1960’s. He has participated in the development of UNESCO’s policy on the inclusion of modern heritage into the World Heritage Sites program. His book Architecture of Saskatchewan: A Visual Journey, 1930-2011 was published in 2013. Bernard’s advocacy for appropriate heritage conservation extends beyond the professional and academic. The renovation of his 450 sq. ft. condo in a designated Municipal Heritage Property (Saskatchewan’s version of a Municipal Historic Resource) in Regina was published in the September 2009 issue of Canadian Architect magazine and has received both a Saskatchewan Lieutenant Governors Heritage award and a Prairie Design Award. The recent flooding in Alberta damaged many historic resources. The damage was not limited to historic buildings—sadly museums and archives have also been affected. We know that the Museum of the Highwood in High River was hit quite hard. 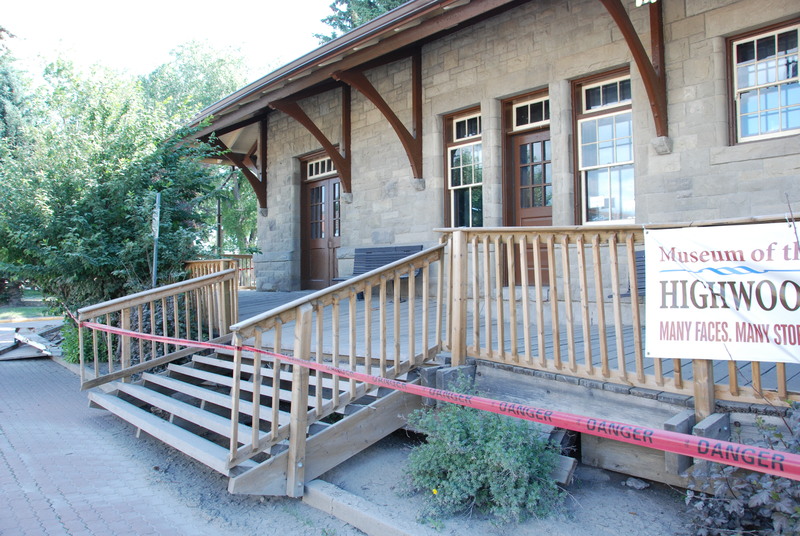 The museum occupies the Canadian Pacific Railway Station, a Provincial Historic Resource. While the full extent of the damage to both the building and the collection is still being assessed, much of the collection was submerged in river water for several days. There is no doubt that many more artifacts in both private collections and recognized museums have been damaged by the flooding. Flooding can be catastrophic for any historic resource, but it is possible to mitigate the damage. 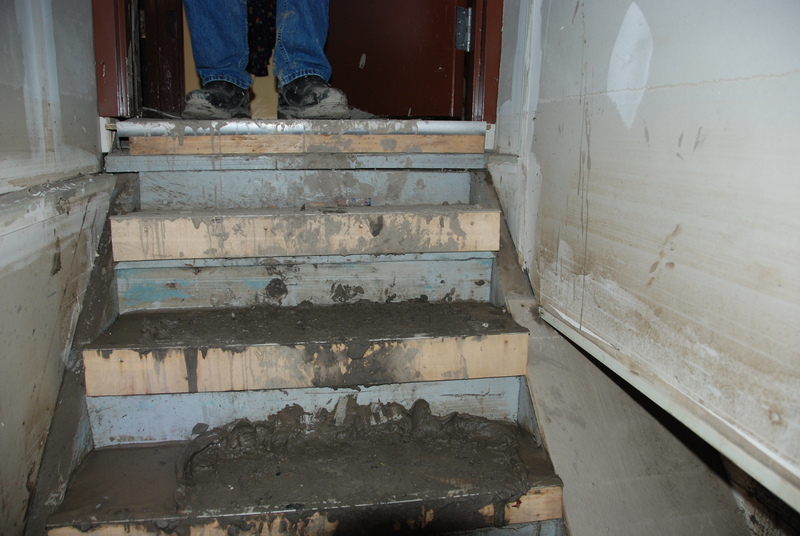 Our friends at the Alberta Museums Association have assembled documents on how to deal with flood damaged artifacts (see Flood Relief Resources on their webpage). I encourage you to consult these as a first step. If you have questions regarding flood recovery or emergency planning you can contact the Alberta Museums Association at advisory@museums.ab.ca . Also, the Canadian Conservation Institute offers emergency advice to Canada’s heritage community in the aftermath of a fire, flood, earthquake or other catastrophe to help with the salvage and recovery of their collections. Nearly $1.3 million in funding awarded to help Albertans conserving and interpreting our heritage. 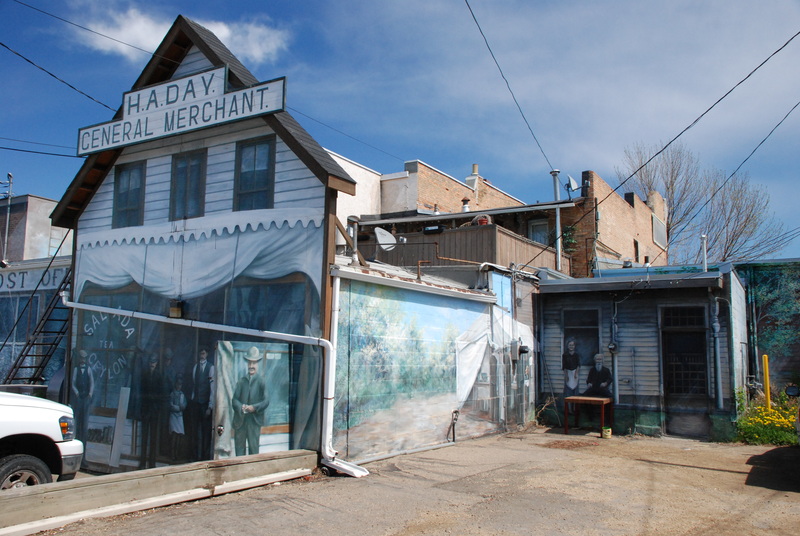 The Alberta Historical Resources Foundation awarded nearly $1.3 million in support of 71 heritage projects through two grant programs. A scholarship was also awarded. This funding will be directed at applications submitted in February 2013 for the spring adjudication cycle. Sixty-six projects will receive funding through the Heritage Preservation Partnership Program. This program provides financial assistance to individuals, municipalities and organizations working on projects that preserve or interpret Alberta’s heritage through conservation, heritage awareness, publications and research grants and scholarships. Five municipalities will receive funding through the Municipal Heritage Partnership Program. These funds assist municipalities in identifying, evaluating, protecting and conserving locally significant historic places. For a complete list of the projects funded please take a look at this Government of Alberta Information Bulletin. You can also find a complete list of grant recipients here. It’s always interesting to see the range of projects Albertans are working on. 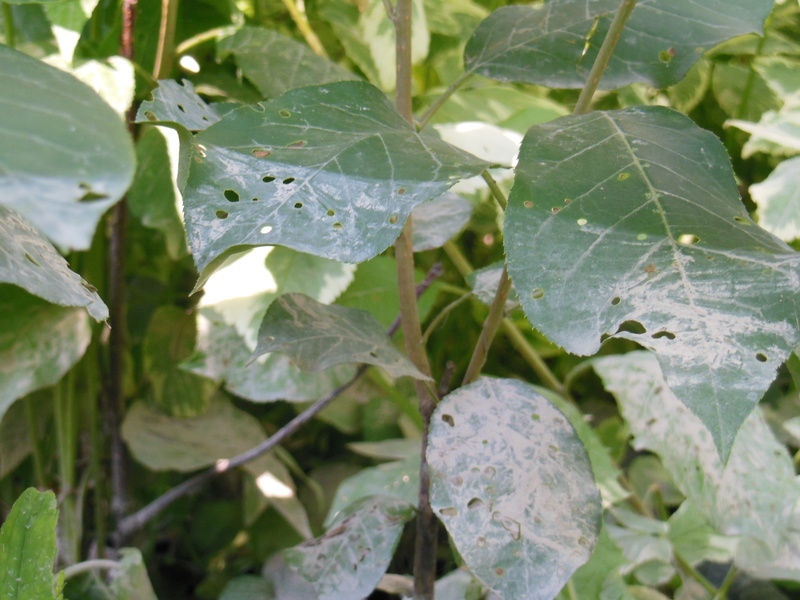 This grant cycle brought forward a range of projects from all over Alberta. I look forward to seeing the applications submitted on September 1, 2013 for the next evaluation cycle. 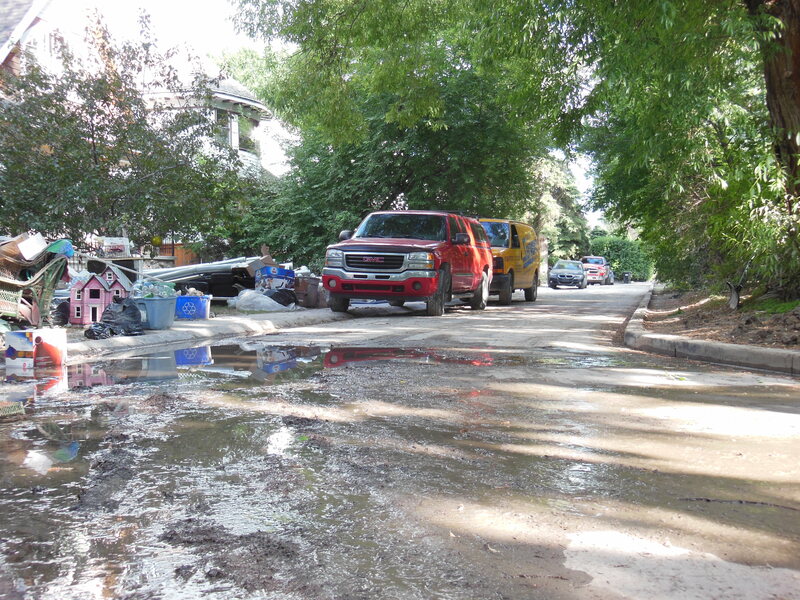 As the floodwaters in southern Alberta recede, we must take care to preserve the integrity of our historic resources. It is very important that old and historic buildings dry slowly. Accelerated drying will warp, twist or split floors, doors and paneling; draw salts through stone and plaster, leading to blistering and exfoliation; and painted surfaces will flake and peel. Historic buildings are particularly vulnerable to damage from inappropriate remedial work after the floodwaters recede. This can lead to unnecessary removal and loss of significant finishes and fittings as well as use of unsuitable materials for repairs. Building conservation is concerned with retaining original historic fabric and cleaning or repairing it sensitively with the least impact, even in the aftermath of a flood. The slow and gentle process required to save irreplaceable historic fabric may take several months and involves a number of steps. Ensure that the building’s electrical, gas, water and waste lines are safe and operating normally and that the building is structurally sound. Take photographs or videos and make notes about the damage to your historic building to assist with future planning for repairs and restoration. Clear debris and open blocked underground and surface drainage systems to help remove water from the building and its foundations. Use sump pumps or temporary pumps to help remove water from basements, although if water continues to rise pumping should be postponed. In that case, the water table is still high and the difference in pressure between the waterlogged soil and the water-less basement could damage foundation walls. 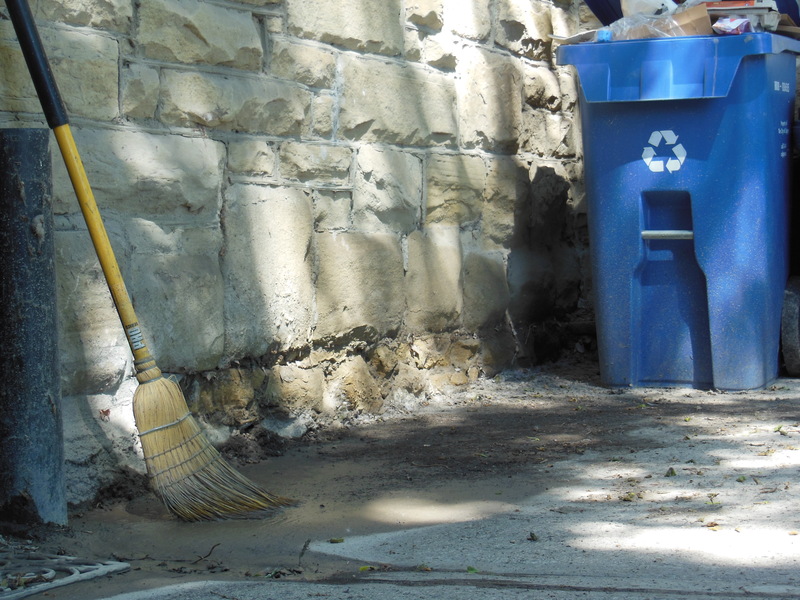 Debris, insulation, and piles of earth can prevent moisture from draining or evaporating. Identify current or potential moisture reservoirs to help specialists determine positions for localized drainage and through-the-wall ventilation that will allow long term drying and prevent decay of vulnerable materials. Consult with your Heritage Conservation Adviser about damp historic materials such as plaster, brick, masonry, floors or finishes. Most historic materials are inherently durable and resistant to flooding and can often be carefully dried and restored. Mud and debris deposited during the flooding can be removed with clean water and is more easily removed while still wet. Do not use high-pressure water to clean historic materials: pressure-washing historic material can do more damage than the flood itself. Remove moisture gradually. Use natural ventilation to slowly dry the structure and historic finishes, particularly plaster and wood. Do not use mechanical dehumidification or heaters to accelerated drying. Fans may be used to circulate cool air. Open windows and doors to assist with ventilation. Install security protection and screens on windows and doors that will be open for an extended period of time. Carefully remove water soaked gypsum board, which can trap mold spores. Do not remove plaster or wood finishes and consult with your Heritage Conservation Advisor about strategies to dry and stabilize historic finishes. As the drying process takes place, observe any long term damage to historic fabric and initiate discussions with your Heritage Conservation Advisor and qualified specialists to plan repairs to your historic building and restoration of its historic materials. Calgary Region: Sandy Aumonier (403-355-4544) and Stefan Cieslik (403-297-4074). Southern Region: Fraser Shaw, office: (403) 297-4088 and cell: (403) 921-8139. These numbers are toll-free by first dialing 310-0000. Written by: Eileen Fletcher, Heritage Conservation Adviser. The Municipal District of Opportunity is a large rural municipality located north of the Athabasca River. I don’t get the opportunity chance to travel to north-eastern Alberta very often, so I was excited to visit the Hamlet of Calling Lake in May. I found that yes, there are indeed trees and lakes outside of our Rocky Mountains. I was in Calling Lake to facilitate a daylong workshop for local volunteers preparing to survey the M.D.’s potential historic resources. The Municipal Heritage Partnership Program granted funds to help the M.D. 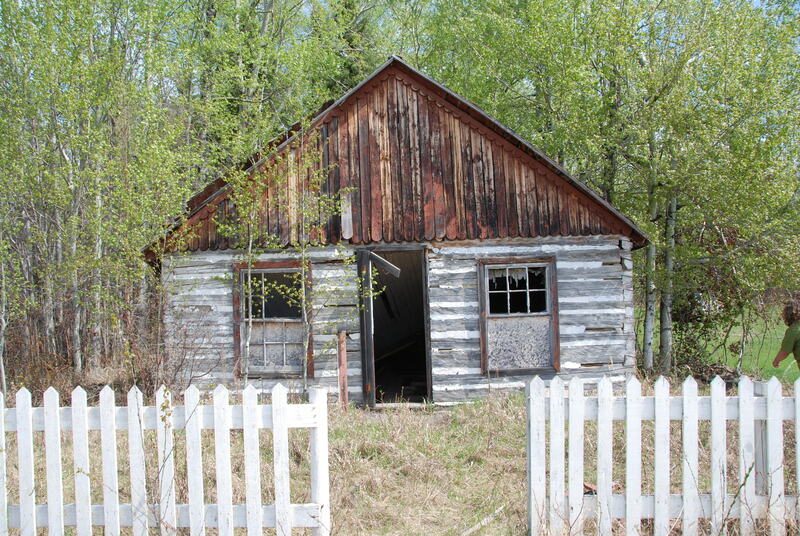 add a few hundred sites to the Alberta Heritage Survey Program. Like so many municipalities before it, Opportunity will use the information to learn more about some of the potential historic resources within its boundaries. The survey of the M.D. of Opportunity is quite interesting because it will focus on buildings, structures and trails from the settlement period around the Hamlets of Wabasca, Calling Lake, Red Earth Creek and Sandy Lake. This area has a rich aboriginal and Metis heritage and was an important fur trapping and trading area. It is also the first municipal survey to focus on sites related to aboriginal people. During the training, we actually went to one of these sites: the St. Leon Le Grande Roman Catholic Church. It was built by the Oblates. Unfortunately the roof collapsed last winter. The survey will allow for it to be recorded for posterity—and perhaps provide the information necessary to designate it as a Municipal Historic Resource and to rehabilitate it in the near future. Stay tuned, I will keep you updated on this project as it develops.